Found in Lee County, Florida, Bonita Springs has a population of about 49,000 people. It's a part of the Cape Coral-Fort Myers Metro area, which has a population of more than 620,000 residents. Along with the many residents, plenty of visitors come to the Fort Myers area every year, especially in the months of March and April for spring break. Bonita Springs may not be as popular as the Fort Myers area for spring breakers, but it still sees some of the spillover every year. The beaches are very popular in the city, as well, which draws even more visitors throughout the year. If law enforcement agencies didn't monitor traffic and enforce the laws, these stats would be much worse. Lee County law enforcement officials handed out nearly 60,000 traffic tickets in 2015. About 11,000 of the tickets were given out for speeding, while another 21,000 were for toll violations. Only 5% of the violations handed out were dismissed. You don't have the right to drive in Bonita Springs. It's a privilege and if you don't follow the traffic laws, the courts may take that privilege away. If you want to continue to drive in Lee County without any issues, you need to avoid traffic violations. Each violation causes points to be added to your driver's license, which may lead to a suspended license. If you receive 12 points over a one-year period, you may have to attend mandatory traffic school and lose your license for 30 days. Receiving 18 points in 1.5 years will lead to a 90-day suspension, while 24 points over a three-year period will lead to an entire year without driving privileges. Moving violations (speeding, toll violations, running a red light, reckless driving, etc.) will cost you 3 to 6 points on your license. The worse the offense, the more points you will receive, which gets you even closer to a suspension. Speeding, alone, ranges from 3 to 6 points and reckless driving will get you 4 points. If you leave the scene of an accident, you will receive 6 points, while other violations will lead to 3 or 4 points on your license. These points add up faster than you might think. Just 3 traffic violations for speeding (15mph over the posted limit) will give you 12 points on your license. A license suspension not only means you’re unable to drive, but you will also have to pay to have your license reinstated. If you've received a traffic ticket, you may not be able to get out of paying the fine, but you can avoid the points on your license and the higher insurance rates. Those eligible can enroll in online traffic school. Upon completion, you will receive a certificate, which you just need to turn into the clerk of the county issuing the ticket. This will ensure you don't receive any points on your license and your insurance company won't be able to raise your rates. Are You Eligible for Online Traffic School? 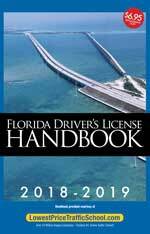 All Florida residents get the option to enroll and complete a Basic Driver Improvement Course up to five times in a lifetime. You're allowed to use the course to avoid points on your license once every 12 months. If you haven't enrolled in traffic school for at least 12 months and you haven't completed the course 5 times, you're eligible. 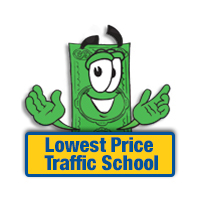 You can enroll in online traffic school, take the class from your own home and avoid any points on your license. Any traffic violations issued in Bonita Springs will be handled by the Lee County Clerk of the Court, regardless of the issuing branch of law enforcement. The Clerk of the Court will process payments and take your certificate if you enroll and complete traffic school. If you've received a traffic ticket in Bonita Springs and you plan to enroll in traffic school, make sure to notify the Clerk of the Court. Information about the Lee County Clerk of the Court may be found by visiting their website.